After the success of our Healthy Snack Chat we have turned our attention to main meals, and the lovely people at Pyrex are supporting us in this. ET Speaks From Home, In The Playroom, RedRoseMummy and I will be cooking some easy main meals that anyone can prepare (even us! ), and hopefully giving you a few tips along the way. A real classic and a family favourite, perfect for adapting to meat-eater or vegetarian. When we have a full house of 9 I make 1 veggie one and 1 with regular sausages. I find this an easy way to ensure my children eat the protein they need to build and repair their bodies. The Pyrex Impressions Ceramic Square Roaster is perfect for this dish because it absorbs and retains the heat really well. It's essential with Yorkshire Pudding batter that as soon as it starts cooking, you don't allow it to start cooling until it's cooked through, or it will just sink. It is also a truly beautiful dish, which is exactly what you want from oven-to-tableware. This is my favourite Toad-In-The-Hole Recipe as it has a little something extra, for a basic result miss out the optional ingredients, or add some different hidden veg of your own ~ halved button mushrooms or cubes of butternut squash also work really well. 1. Preheat the oven to 200degreesC (400F/Gas Mark 6). While the oven is warming put the vegetable wedges and sausages into the roaster and place in the oven for around 15 minutes until the sausages are starting to brown. 2. Sift the flour into a bowl, make a well in the centre and drop in the eggs. Adding a little milk at a time beat the mixture until it is a smooth batter. Stir in the mustard, thyme and seasonings. 3.Take the roaster out of the oven and pour in the batter, making sure all the sausages don't get washed over to one side! Return immediately to the oven and cook for around 35-40 minutes until the batter is risen and cooked through. With this ceramic roaster the toad-in-the-hole shouldn't stick at all, which makes for a lovely crispy base, really easy serving and far less time washing up! To accompany I used the Pyrex in a way I've never used this type of product before. I used it to steam my veg with 2 teaspoons of water. I'd never have considered this and I'm not really sure why because it's ideal. My old plastic microwave bowls are all stained and need cling film over the top, this is definitely far better and does a beautiful job. I used the 4-in-1 Plus Standard Rectangular Dish With Lid, which is one of my favourite items from the range because it really is multi-talented. It is oven to tableware and leftovers can be frozen and then defrosted and reheated using the microwave or conventional oven without needing an array of different pots and pans. It is just as durable as the Roaster, although obviously the lid cannot be used in a conventional oven. For dessert I made one of the easiest and most basic of puddings which I grew up with. It's basically a Bakewell tart, but I choose not to use almonds because I hate them! I made dessert in the Pyrex Classic Cake Dish With Handles, which is absolutely perfect for any sort of tart. Again it is fine in the microwave or dishwasher and conventional oven, and when you serve your dish you can use a knife to cut without damaging the glass. Approximately 250g shortcrust pastry - buy or make your own using 1/2 fat to flour ratio, and a little water or milk to bind. 6. Pour the batter over the jammy pastry - start at the edges so that the jam doesn't all move to the sides. 7. Cook for around 25-35 minutes until the sponge springs back when you press it gently with your finger. If you want a real Bakewell style looking pud then ice the sponge white and then pipe a coloured grid on the top. Using a skewer draw across the grid, in between the lines, which will drag the colour into the white and give the right finish. I didn't ice ours as we ate it with custard. National Baking Week takes place in October this year ~ so you have plenty of time to practise your finest creations! Great menu! 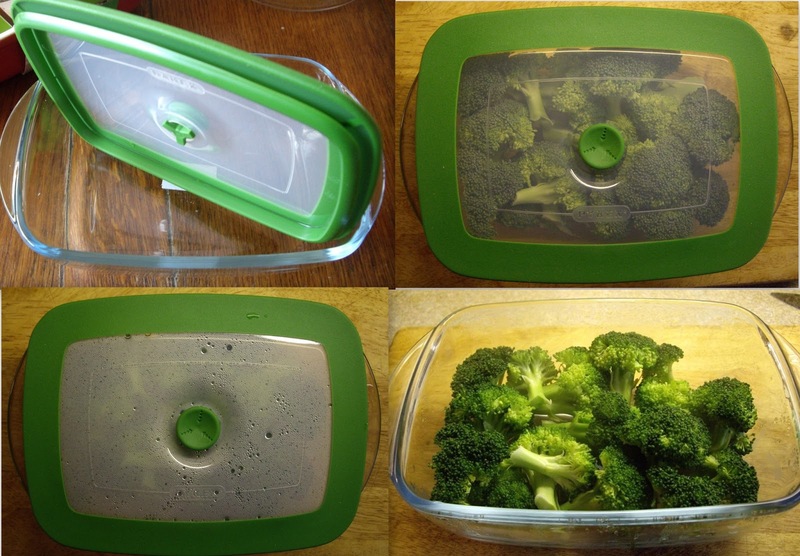 The Pyrex looks fab for oven to table use, anything that saves on washing up is a win! We all looove good cooking items! And def that steamer option looks awesome but wonder if there would be solutions to steam in the oven, as they say microwave kills the nutrients - not sure if that is true or not, but I only use my microwave to re-heat, never to cook. Wow! That is fab! Your food look so delicious! Mmmm toad in the hole is my favourite and yours looked delicious! ohh looks great menu and simple enough that i could even give it ago! The 4in1 dish looks great - I have a glass pyrex dish that was my mum gave me when I left home - they definitely last and I love the fact you can use a knife in them without scratching. Can you believe my husband had never even heard of, let alone eaten Toad in the Hole until he met me. I love it! I never knew Pyrex was so versatile! May have to invest in a 4 in 1!